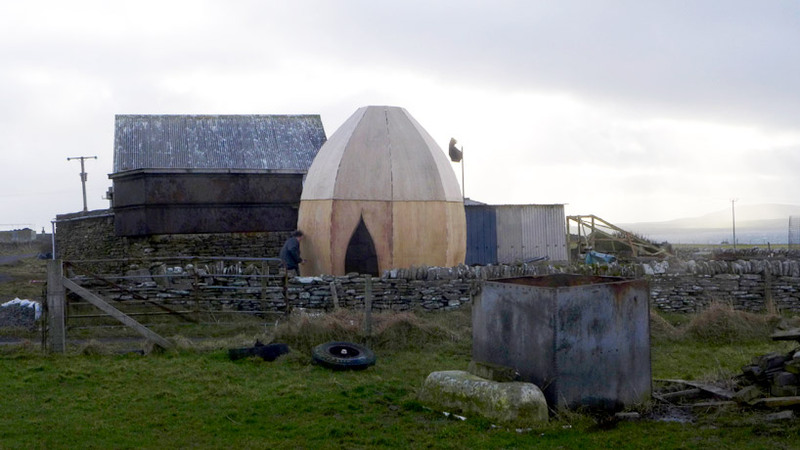 this year’s papay gyro nights festival for video art, sound art, experimental film, music and architecture on papa westray island in denmark, saw the construction of ‘fire shelter’ during a workshop led by simon hjermind jensen of SHJworks. the sculptural object became the heart of the event. 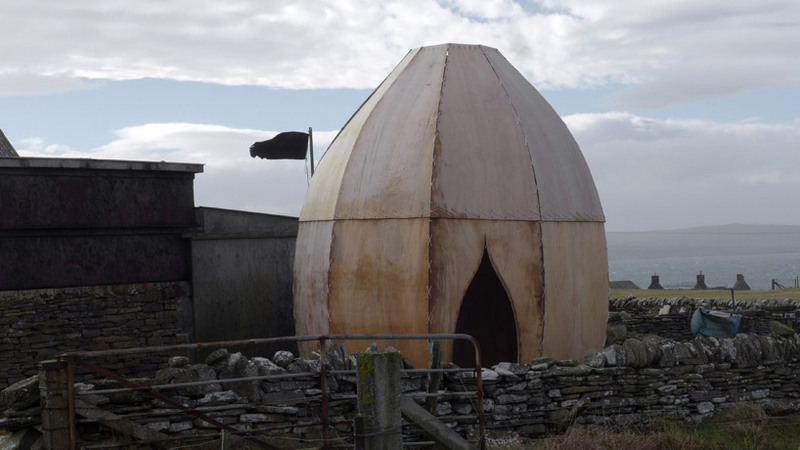 the domed pavilion is made of bent plywood panels that are stitched together to enclose a fire pit and warm attendees. its shape is an acoustic amplifier, allowing music to resonate within the walls. seating at the perimeter creates a small communal place for reflection and relaxation, where poetry and song could be shared. an opening at the top lets smoke escape, while still permeating the air with its perfume. 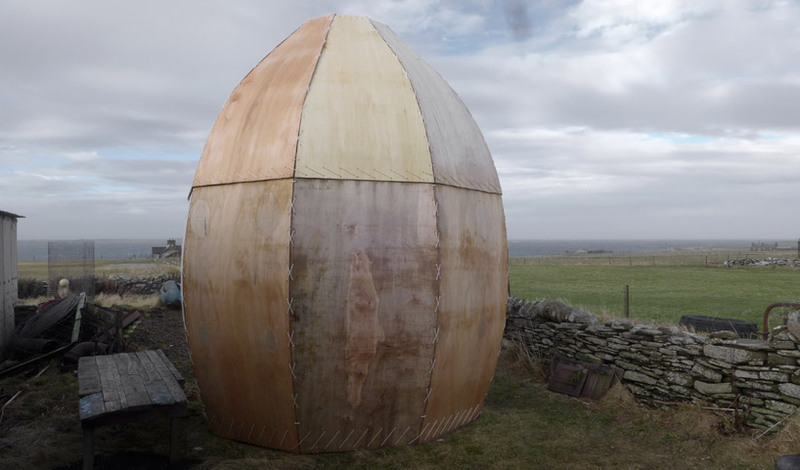 the ‘fire shelter’ was simply made with wood, rope, and a jigsaw. 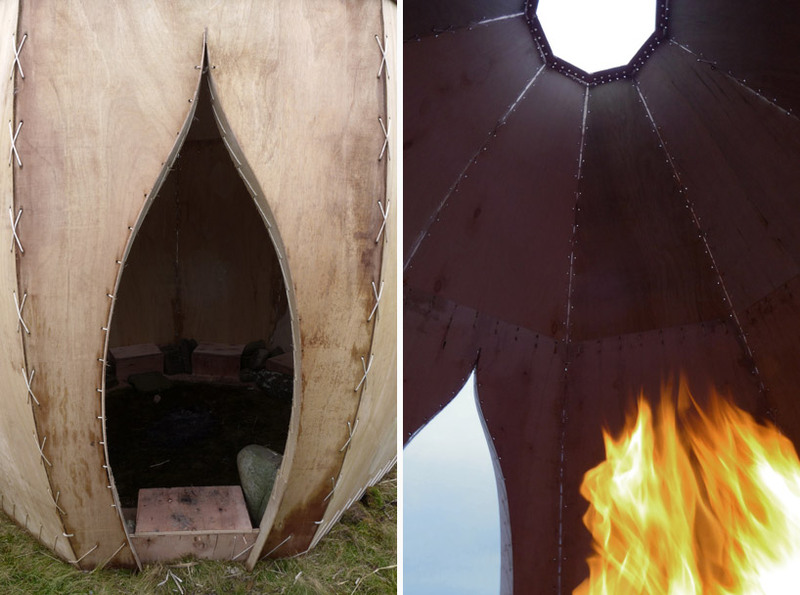 its form references nomadic tents that were once made with similar low-tech methods. 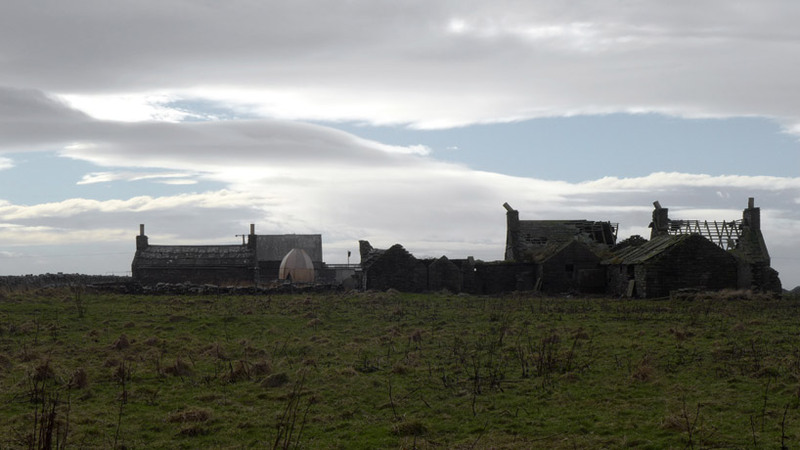 despite its simplicity, it proved strong against frigid february storm-force gales. heavy stones provided anchors for the structure, which aided in its sturdiness in the harsh danish elements.